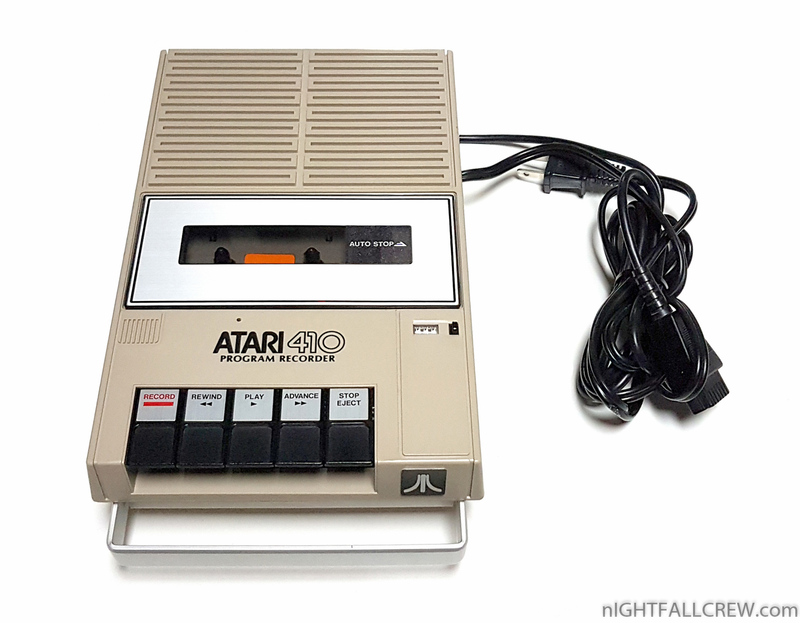 I did not find much information about this specific Atari Tape Recorder Model 410, probably is one of the first models that have been produced for the Atari 400/800 series and does not have the SIO passtrough to connect other external peripherals. 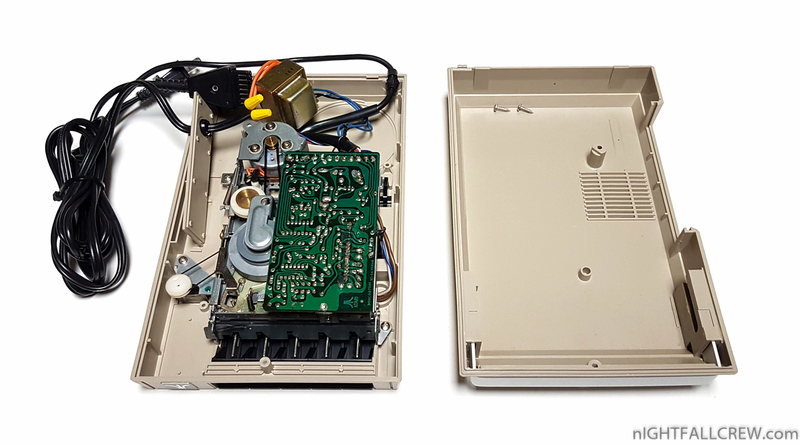 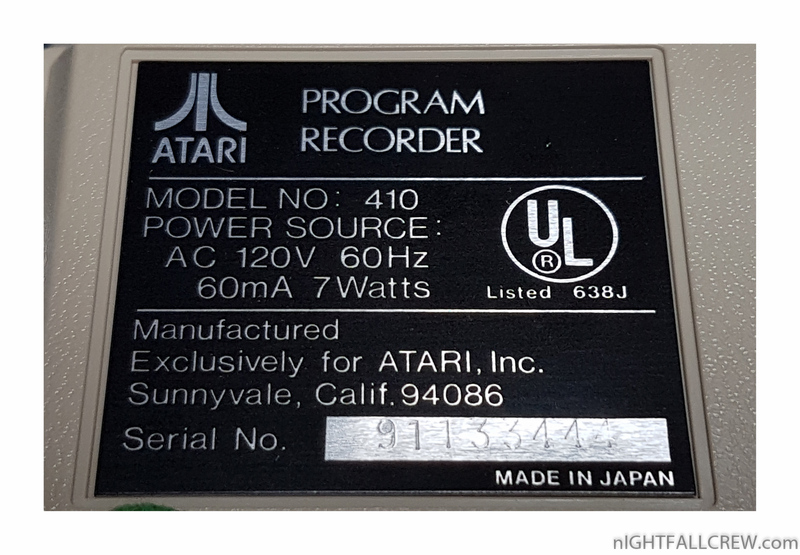 The Program Recorder was well built and study with built in power supply and SIO cable, the 410 didn’t need a bukly external power pak like most other Atari 400/800 components, how the SIO cable being built in and the Program Recorder having no daisy chain port on the unit meant that it had to be placed at the end of the SIO chain. 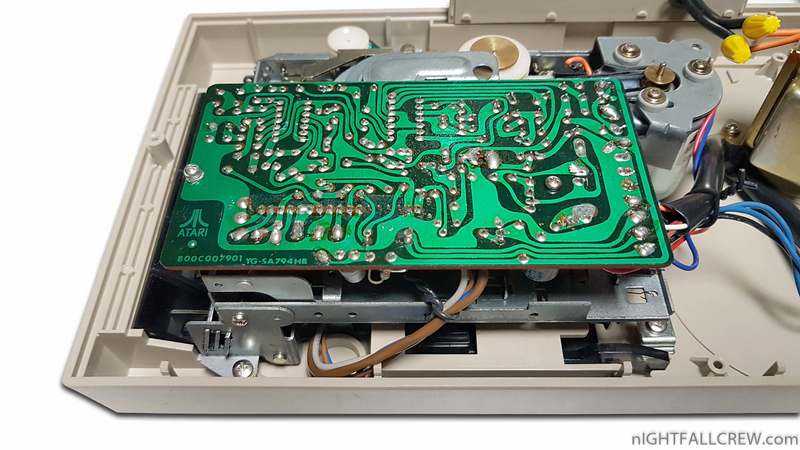 The original idea of the SIO (Serial I/O) port on the Atari computers was that it was to be used only for the Data cassette drive, however its functionality was extended so that it could use all Atari peripherals including disk drives, printers and modem. 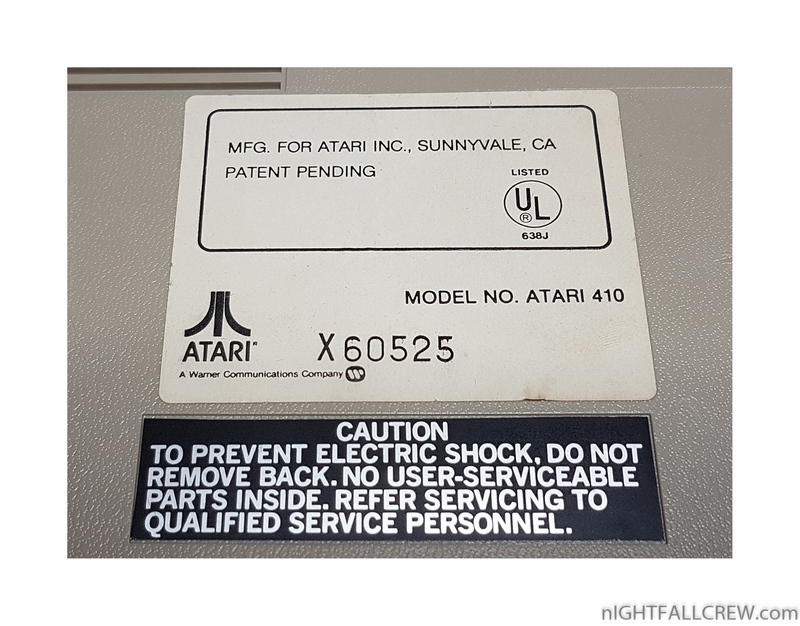 The Atari 410/410a had a unique feature exclusively used by Atari. 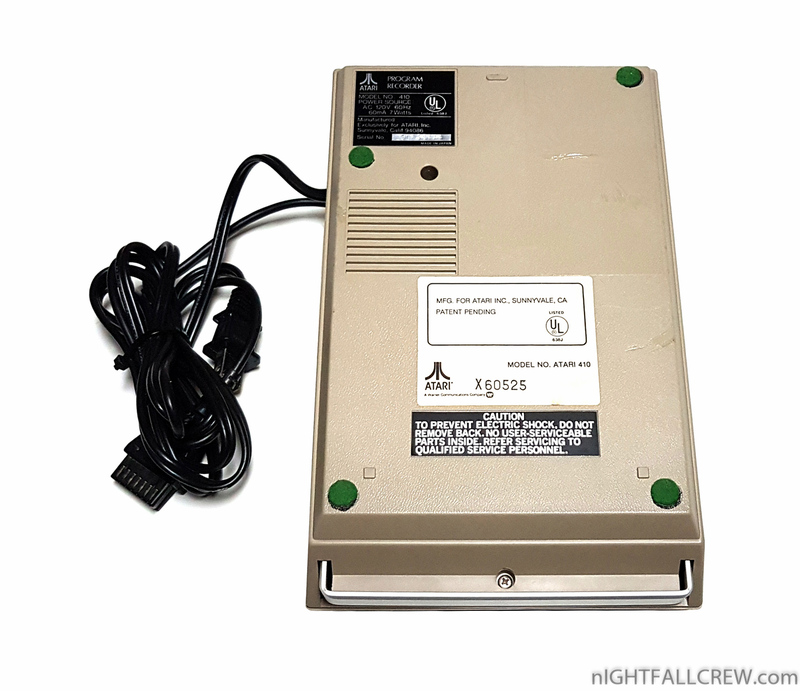 They could play two seperate tracks on a tape, this proved very useful for interactive programs where a user would run a program and would hear audio music/speech while the other track would load the next part of the program.